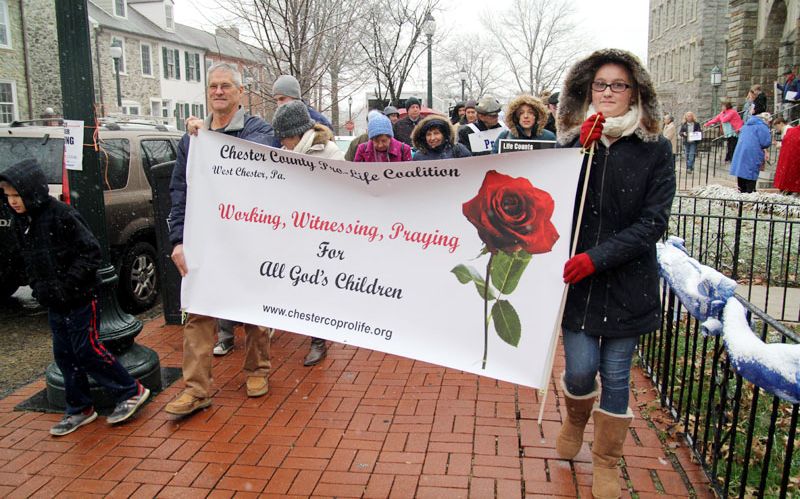 Pro-life supporters from Chester County depart from St. Agnes Church in West Chester in silence as they march for respect for life. 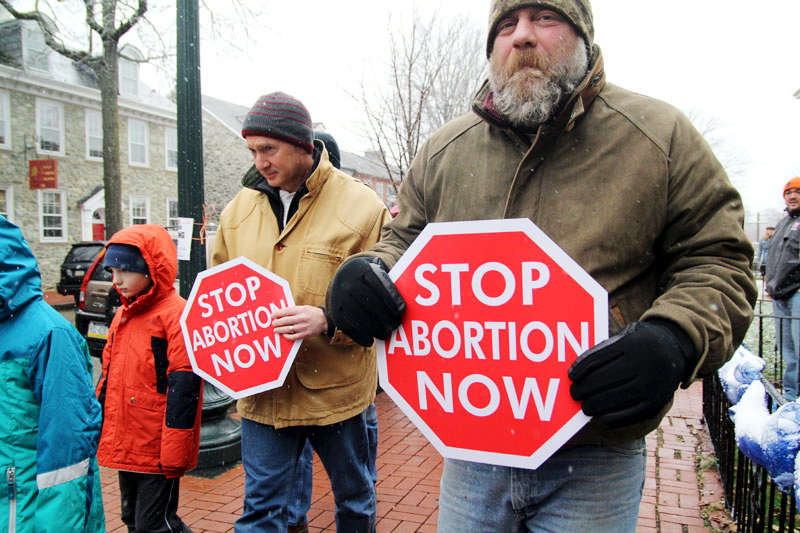 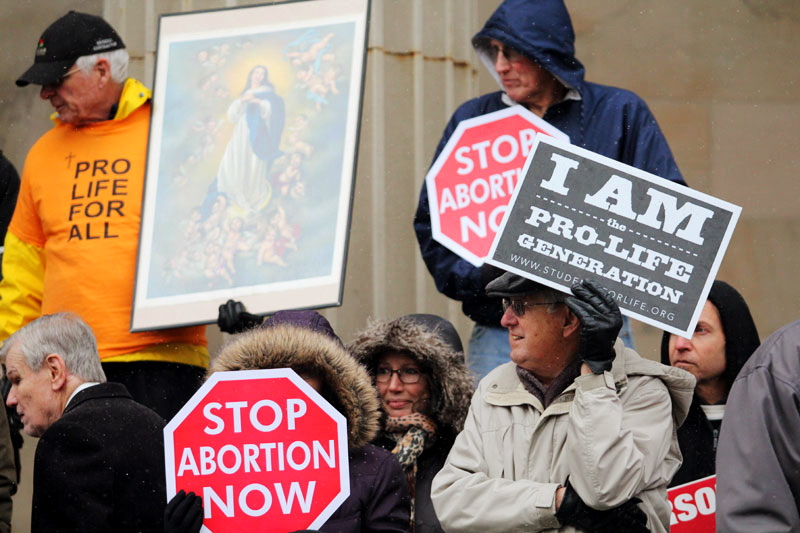 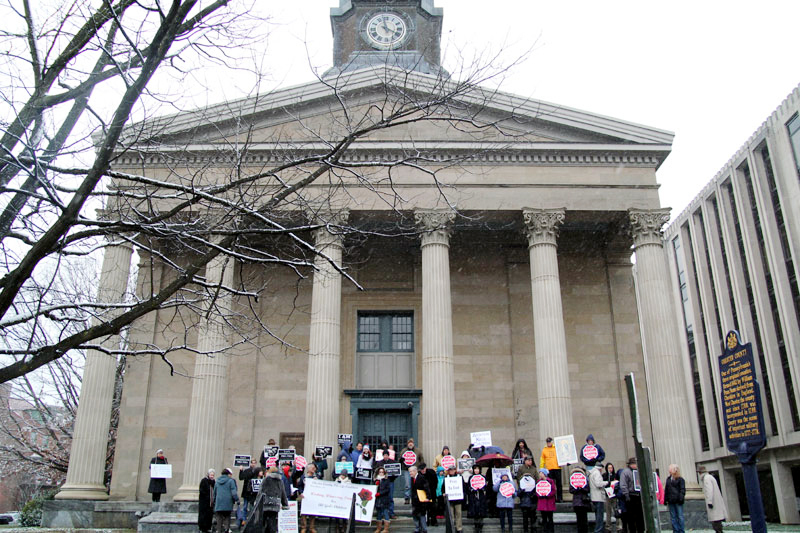 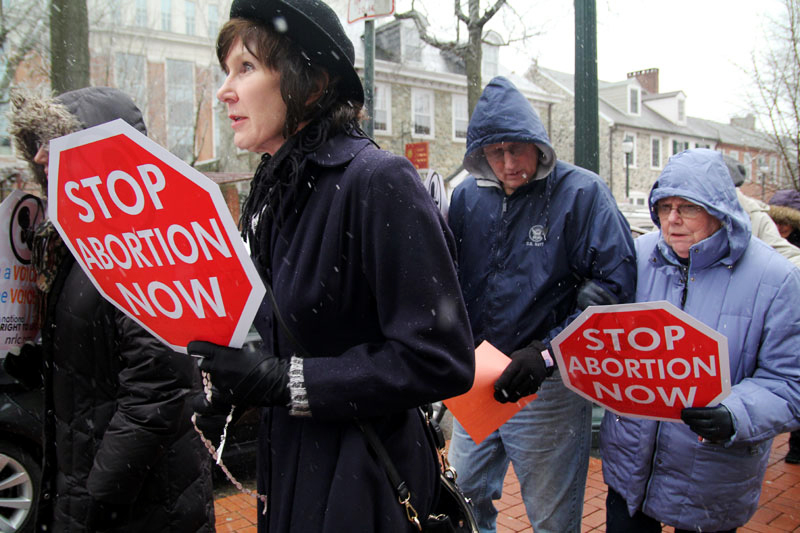 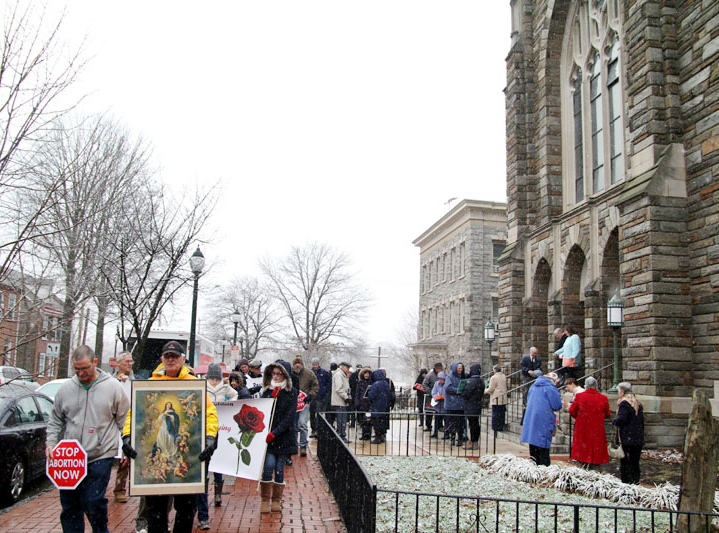 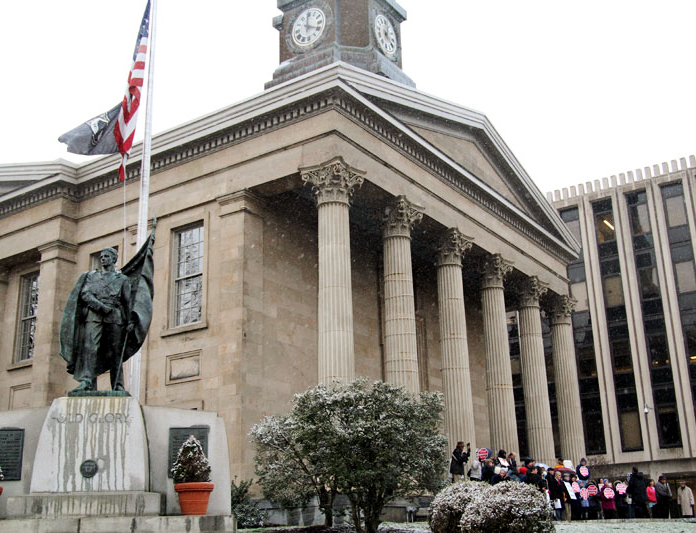 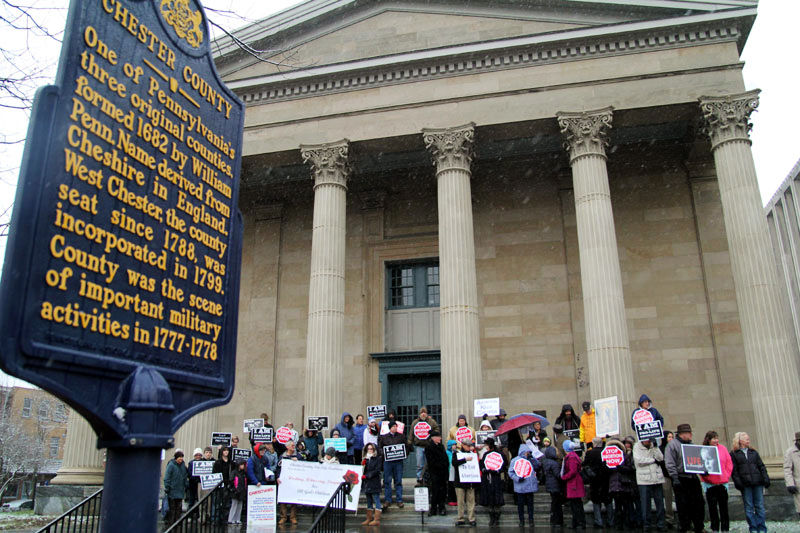 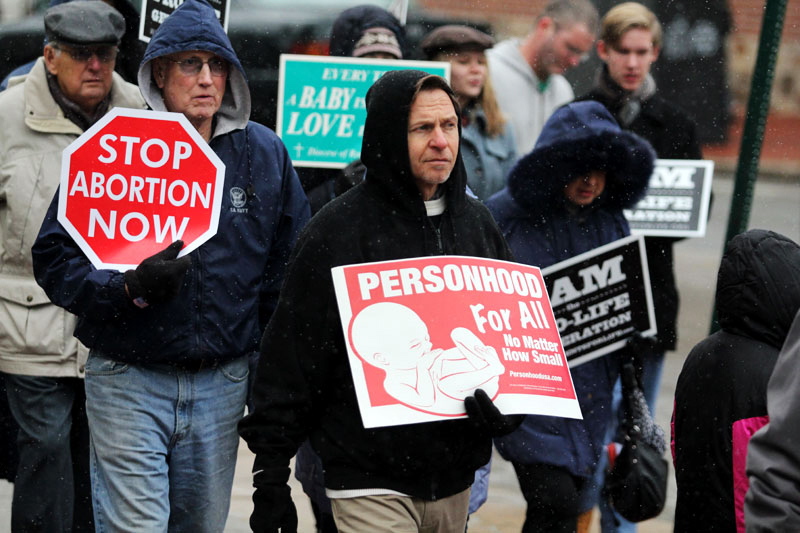 Pro-life supporters from Chester County silently march in the snow from St. Agnes Church in West Chester to the steps of the Chester County Courthouse. 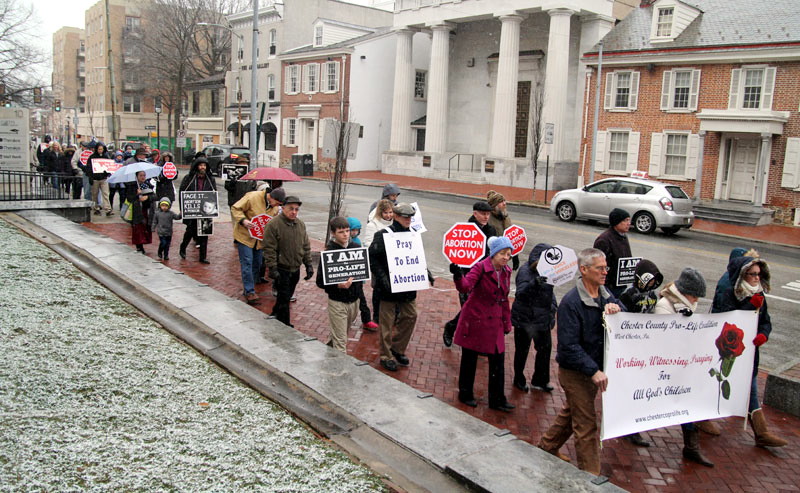 A group of Chester County residents gathers on the steps of the county courthouse to pray for the unborn. 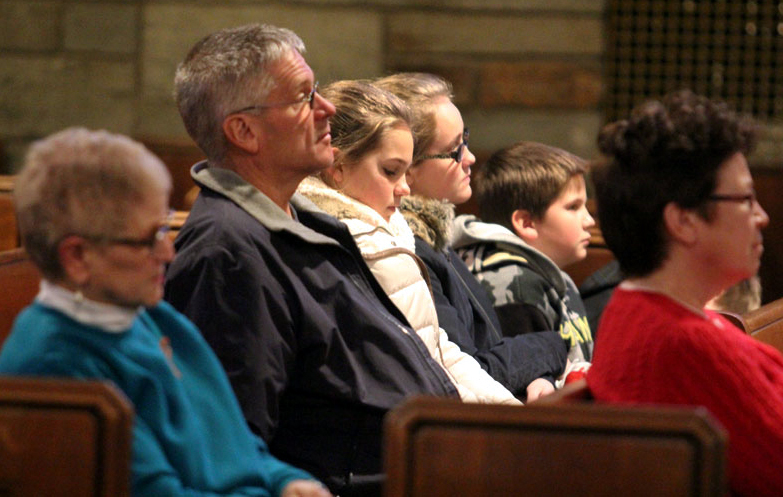 The Gies family sings “When a Child is Born” during the pro-life event at St. Agnes Church in West Chester. 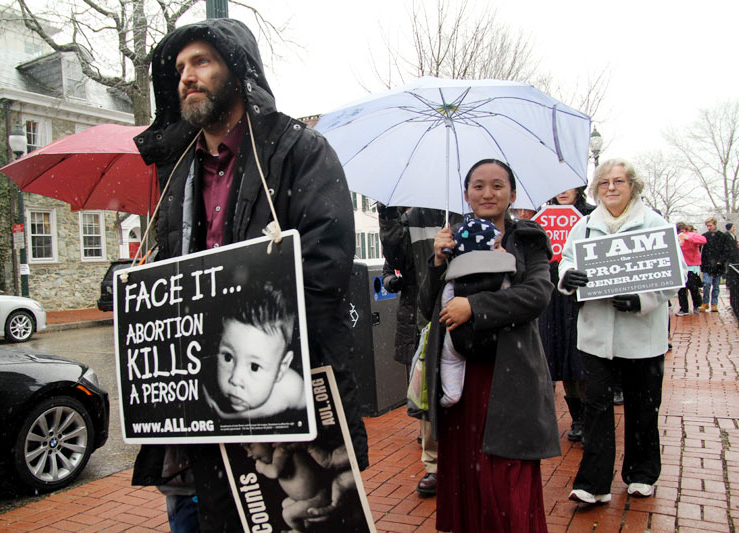 Later in the day they were awarded the Catholic Witness Award by the Chester County Pro-Life Coalition. 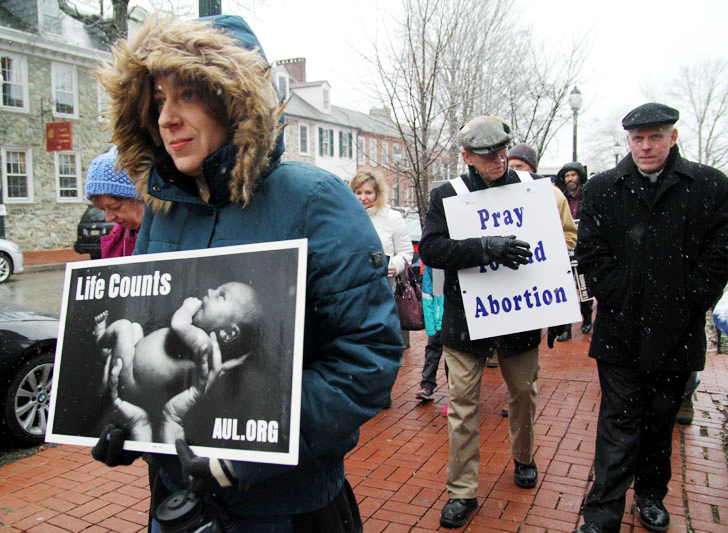 Ann Marie Nabieu, center, attends the Chester County March for Life with friends. 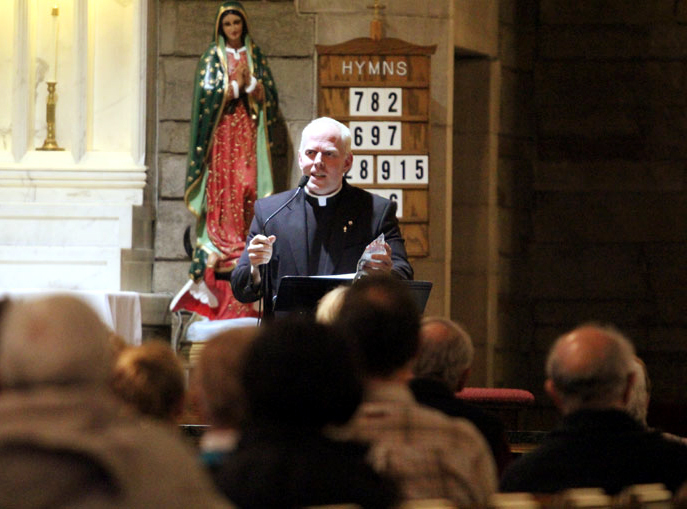 Father Christopher Rogers speaks during the event sponsored by the Chester County Pro-Life Coalition. 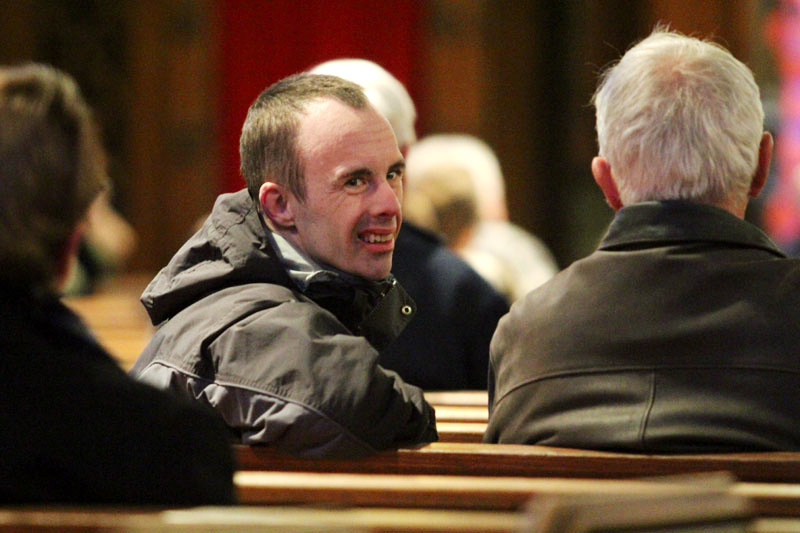 Sean Finley attended the Chester County event with his parents Jack and Mary and his brother David. 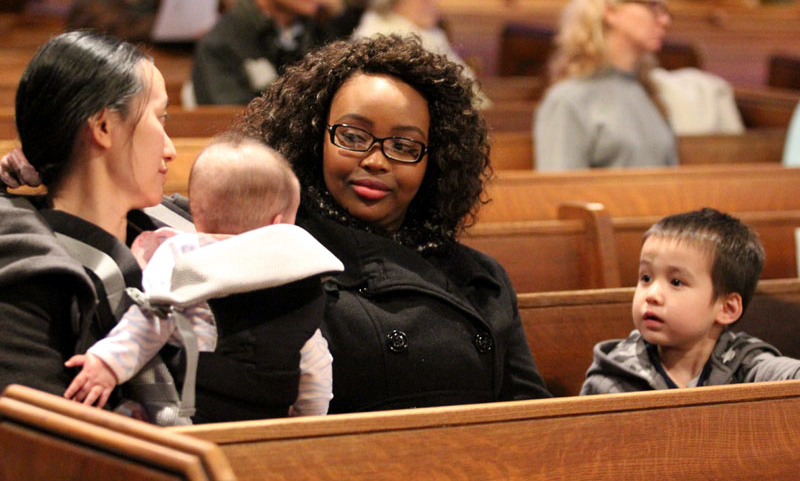 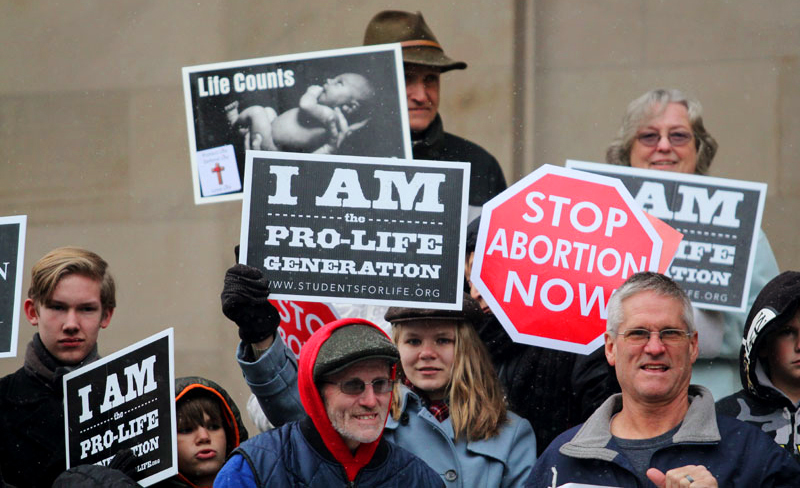 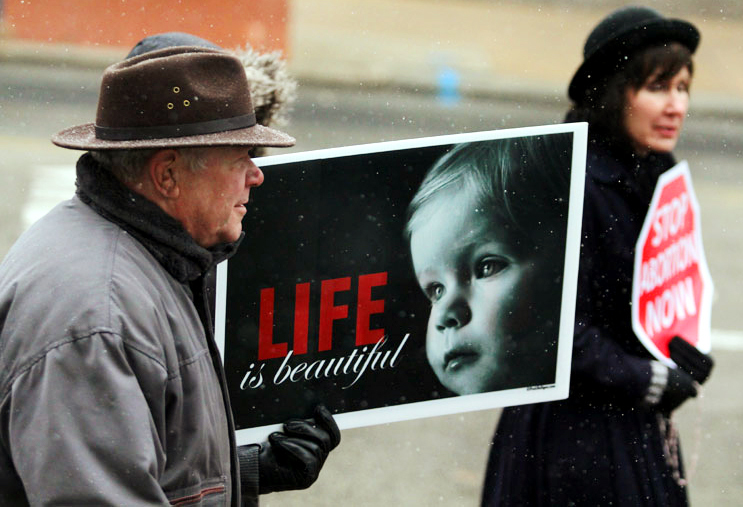 PREVIOUS: Pro-Life Summit gathers young and old in Phila.